Day Break the 22ft River cruiser is available for bareboat charter, prices start from £130.00 per day. 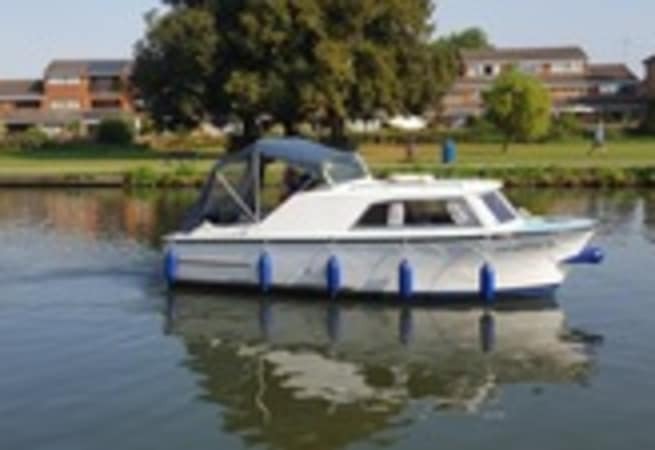 She is the perfect boat for exploring the River Thames. She is very easy to handle and to moor. You will have the opportunity to stop at many spots along the way where you find fantastic places to eat and drink. Size 6.5 x 2.3m. 1.7m headroom in cabin. Cooker with oven, fridge and hot and cold water. Ample storage space for all those things you need for a good day out. Sufficient crockery and cutlery for 4 people including glasses, pots, pans and kettle.